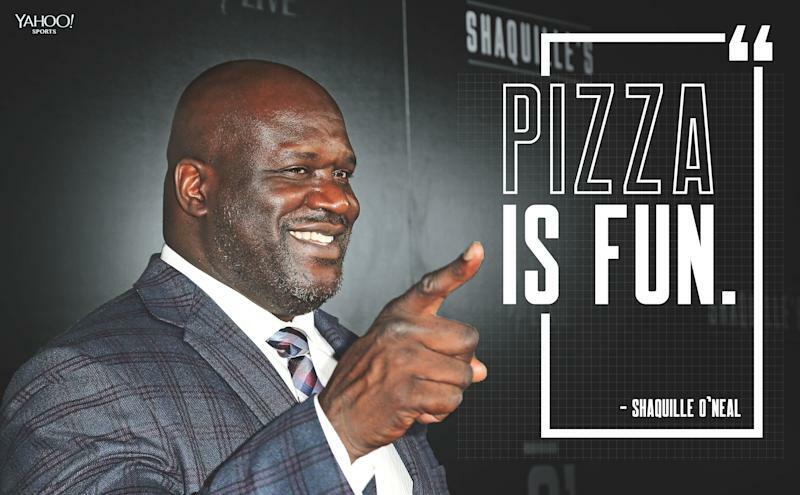 Shaquille O'Neal is expanding his handle on food to pizza chains. Shaquille O’Neal is joining the Papa John’s board of directors, becoming the first African American member on the board months after its founder resigned following his use of a racial slur. The NBA Hall of Famer will be a “triple threat,” he said on CNBC’s “Squawk on the Street” after the announcement Friday morning. Along with joining the board of directors he will also invest in nine Papa John’s franchise spots in Atlanta and become an ambassador. “Everyone loves pizza and pizza loves everyone,” O’Neal said. O’Neal owns various restaurants already: a Krispy Kreme Doughnuts franchise in Atlanta, Big Chicken fast casual fried chicken in Las Vegas and Shaquille’s restaurant in Los Angeles. He previously owned 27 Five Guys franchises. It’s his first time as a board member for a public company. Papa John’s will pay him $8.25 million over three years, per CNN Business. The four-time NBA champion told the CNBC hosts he contacted Papa John’s and always wanted to be a franchisee. Stevie Ritchie, Papa John’s CEO, said the initial talks were to diversify the franchisee brand and then morphed based on his aptitude and skills. “Shaq obviously brings the fun, the relevance, the vibrancy to the quality story,” Ritchie told CNBC. The board members didn’t directly answer if the new face on the pizza boxes would belong to Shaq. The NBA superstar did mention a “Shaqaroni” addition to the menu that would be “extra big size” with extra pepperoni, sausage and cheese. Papa John’s stock rose approximately 5 percent after the announcement, per CNN Business. The “Better Ingredients; Better Pizza” company first took a hit in October 2017 when then-CEO John Schnatter blamed the quarter’s flat sales on the protests led by Colin Kaepernick in the NFL. And in July, Forbes broke a story that Schnatter used the n-word during a training exercise while on a conference call with a marketing agency. Papa John’s faced quick backlash and the CEO agreed to leave the board entirely. When the subject was broached on CNBC, O’Neal first said he was not OK with what happened and then turned his attention to the fallout.